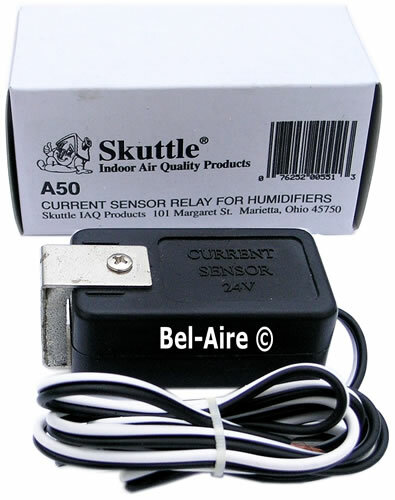 Skuttle 24 volt current sensing relay. This relay will switch on a 24 vac (1 amp, 24 watt max) load when 4 amps of (blower motor) current is sensed. Dimensions 2-3/4" wide x 1-5/16" high x 1-1/16" thick. A50 Specification (1 Page, 686k pdf).